For dismissed students who were reinstated for the current academic semester and a) want to add any additional courses or b) are now registering for the next term. Meet with a counselor to discuss Continued Enrollment after Reinstatement from Dismissal. The student will need to see a counselor to complete the petition (30-minute appointment recommended). The student will need to schedule a mandatory appointment to meet with a counselor. Bring completed petition to your appointment. Complete this form if you would like to be exempt from completing our assessment. Complete this form if you do not intend to participate in Orientation, Assessment, and Education Planning/Counseling. Submit the completed admissions application and the Elementary and Middle School Special Enrollment form to the Admissions & Records office. To enroll, submit the High School Special Enrollment form in person to the Admissions & Records Office on campus. You must fill out a separate form for each semester you wish to attend. To enroll, submit the Adult High School Special Enrollment form in person to the Admissions & Records Office on campus. You must fill out a separate form for each semester you wish to attend. To add or drop classes in person. Submit Add and Drop cards to the Admissions and Records Office on campus. To challenge a prerequisite or co-requisite.Submit the completed petition with your supporting justification/documentation to the Admissions and Records Office. To appeal for Priority Registration.Submit the form to your academic counselor. To apply for AP, IB, or CLEP examination credit towards an Associate Degree General Education Requirement or CSU GE Breadth certification. Take the completed petition and supporting documentation to a Counselor for review. Submit completed petition and supporting documentation to the Division Department Dean for review. Submit completed form to the Admissions and Records Office on campus. To have out-of-state, private, and international coursework evaluated for incoming transfer credit. The request requires a Counseling appointment. Official transcripts from outside institutions must be on file prior to requesting the evaluation or accompany the evaluation. Submit completed forms to the District Admissions and Records Office. This exemption is available to certain nonresident students who meet a specific set of requirements as outlined in the instructions. Submit the completed form and supporting documents to the Admissions and Records Office on Campus. Residency Reclassification: The Residency Questionnaire will ensure proper determination of residency status for tuition purposes pursuant to Education Code Section 68041. Submit the completed form and supporting documents to the Admissions and Records Office on Campus. Submit the completed form and supporting documentation to the Vice President of Student Services Office. Submit the form to your college Bursar’s Office. Petitions must be filed by appointment with a counselor. Official transcripts of any coursework completed outside Peralta District must be on file prior to requesting the evaluation or accompany the petition. Review the certificate requirements prior to making an appointment to meet with a counselor for an evaluation to petition for a certificate. Use this form to request a duplicate degree or certificate. Submit the form to the Admissions and Records Office on Campus. Academic renewal/alleviation allows a student to alleviate previously recorded substandard academic work that is not reflective of a student’s demonstrated ability. Complete the form and submit to your campus Admissions and Records office. Family Educational Rights and Privacy Act (FERPA) protects the privacy of education records. In order to release your student record, a written consent is required. Directory information may be shared without consent to various agencies. 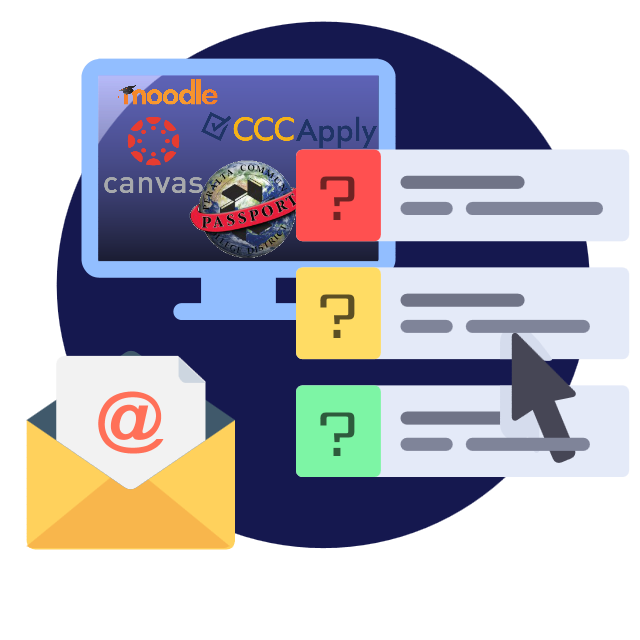 If you do not want your information shared, a signed opt-out consent is required.This form provides authorization as well as an opt-out option. Submit the form to the Admissions and Records Office on Campus. Submit the completed form to the Admissions and Records Office on Campus. Non-Peralta Transcripts to be Evaluated for Certification MUST be on file in the District Admissions & Records Office. Information on how to order your official transcripts. To request your official transcript, log in to Passport, go to the campus Admissions and Records office, or mail the transcript order form. Cash payments are only accepted at the campus business offices. To request an incomplete grade, fill-out the Incomplete Grade Contract, obtain student signature of proof of agreement with contract, once the terms of the contract have been completed, the instructor must submit a request for Record Correction form to the Admissions and Records. Upon approval, the instructor must submit the form promptly to the Admissions and Records Office on campus for processing. To request a grade change, submit the Request for Record Correction to your instructor for processing. Record corrections must be processed within 2 years after the calendar date of the semester in which the grade was assigned. To update your “Preferred Name”, address or email, log into your passport account and make the needed changes. To update your legal name, social security number, date of birth, please complete the Personal Information Update Form and submit the appropriate documentation to the campus Admissions and Records office. To change your major, discuss the Request for Change of Major form with a counselor at your campus.The form will be submitted to campus Admissions and Records for processing. Submit the form to Vice Chancellor for Student Affairs or Designee. * NOTE ABOUT PDF: The forms require Adobe Reader to open. If you encounter trouble opening the PDF files in Internet Explorer right click on the link and select “Save Target As…” and save the file to your local drive for the opening.